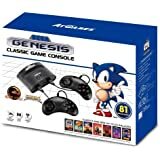 Amazon's Choice for "snes mini classic console"
Sold by Mediacentre and Fulfilled by Amazon. Gift-wrap available. Sold by J&A_Goods and sent from Amazon Fulfillment. Sold by Rush Gaming and sent from Amazon Fulfillment. Sold by Southern Harbour and sent from Amazon Fulfillment. 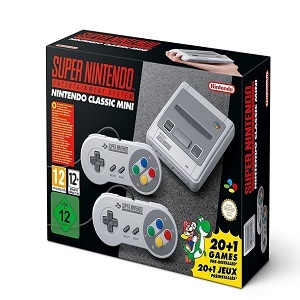 The Super Nintendo Entertainment System, Nintendos follow-up console to the legendary Nintendo Entertainment System, returns in a new petite form as the Nintendo Classic Mini: Super Nintendo Entertainment System. 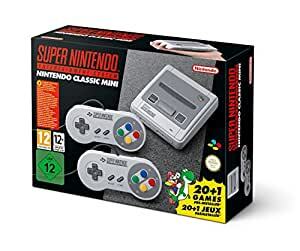 Fully loaded with 21 games, the Super Nintendo Entertainment System Classic Edition system has the original look and feel of the 90s home console, only smaller, and can easily be plugged into any high definition TV using the included HDMI cable. 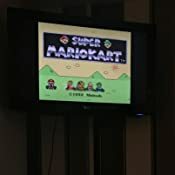 Included with the Nintendo Classic Mini: Super Nintendo Entertainment System are one HDMI cable, one USB power cable, and two wired Super NES Classic Controllers. 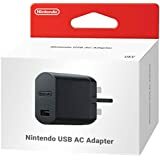 Note that an AC adapter for the USB cable is required to play the system but is not included in the packaging. The golden age of 16-bit gaming returns. Yoshi, Samus and the Star Fox crew are waiting for you to come and play. 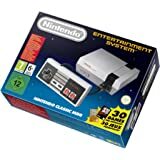 The Nintendo Classic Mini: Super Nintendo Entertainment System has the original look and feel of the ‘90s home console, only smaller. Plus, this one comes fully loaded with 21 games! 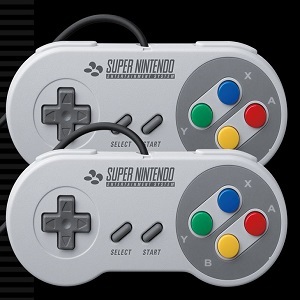 Two wired retro Super NES controllers are included for multiplayer gaming right out of the box. Get your hands on some of the best two-player games of the era, including Super Mario Kart and Donkey Kong Country. Rewind: This feature lets you rewind up to five minutes of gameplay from your last save. Each game can save up to four suspend points. 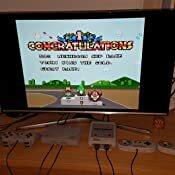 Play: Nintendo Classic Mini: Super Nintendo Entertainment System is also compatible with the Wii Classic Controller and Wii Classic Controller Pro accessories*. You can just plug them in and play! Frames: Wrap a cool border around your game with the new Frame feature. Some of the frames change colour based on the game being played. 5.0 out of 5 starsAt last, I can play Earthbound for £70 the way it's meant to be played, and I get hundreds of games free! What an amazing piece of kit. You will not believe how cute and detailed this console is until you get to see it for yourself. I was expecting it to be good, but not as good as this! The pads alone in this NEW condition are worth £80, then you have the games, 21 in total. Amazing eh? 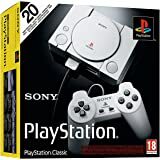 Considering these games cost like £8 each on the Wii/Wii U virtual console, totalling £160, and you get an amazing console and perfect pads with the ability to add hundreds of roms on the consoles 300mb storage makes it absolutely essential! Forget buying the Switch for your kids, let them share some of your great memories on the couch playing with their dad/mother, priceless :) Seriously, kids of any age will love it, games like Super Tennis have never been surpassed by any Tennis Sim yet, and provides amazing 2 player action. You can power the console from a USB socket on your TV(if you have one) is so convenient. 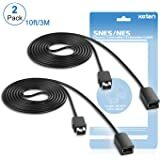 The controller leads can be extended for about £8 for 2 extension cables. Any USB socket can power it, if you want to hook it up to your PC or use a USB plug if you don't have a spare socket. As you can see, most of the cons can be sorted. 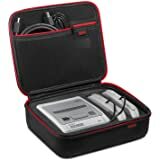 With many handheld/mini emulator 3rd party consoles available not one is worth buying due to crappy emulation/pads/power plugs needed. crap build quality this is in a different league and saves the hassle of having to get your old snes out and having to buy expensive(like Earthbound) to actually experience. This is a stunning piece of kit, I just love it. 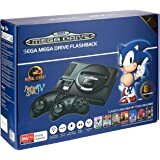 I just hope with every ounce of my being that Sega release my favourite 16bit console, the Megadrive, in mini form as that would be my perfect gaming setup. Buy it now while cheap, and thank me later. 5.0 out of 5 starsA hit with 30-odd year old children - great idea. Bought as a gift for my son. It works exactly as advertised, with all the games on board instead of the old box full of cartridges. He and his sister were playing together just as they did 20+ years ago when they were children. Superbly done little machine. Intuitive to use, and brilliant for anyone who had a SNES first time round. You need a USB plug to use it that is not included - but don't need to buy an expensive one. Any USB plug will do - I use one from an old phone charger and it works fine. 4.0 out of 5 starsI love that its so small, hence the name. Well worth 67 pounds. 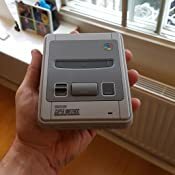 I really like the SNES classic mini, I was pleasantly surprised at how small it is, i'd say its almost a quarter of the size of the original. 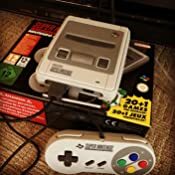 It has on it a lot of my favorite games like Zelda, Super Mario World and Super Metroid, but they could've put more on or made the Snes mini connect to the net, so you can download more. 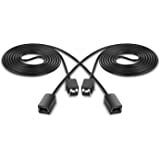 The game controllers are exactly the same as I remember the originals, except the cables are too short and need to be double the length they are, they are an acceptable and usable length tho, don't get me wrong. The state saves system is adequate I guess, from what I've seen so far. It has a fast forward and rewind function as part of the state save system. 4.0 out of 5 starsmost likely the presents that gets people of any age excited. I gave this one to my father in law. He is 70. He used to play the various Mario games back in the 90's and he really enjoyed it. My nephew also played the various 2 player games and he was very enthusiastic about it. Most interesting was my brother in-law who I watched playing hours of Megaman X and finishing it a couple of times! The whole family, 3 generations, all being super happy with the console. The controllers are sturdy and have the same great feel with the original. The cables are a bit short. The unit itself feels sturdy feels like is built to last. Please do note you need to provide power as there is no adaptor, any old micro-USB phone charger should do. If you are looking to buy something more specific a raspberry-pi adapter will do nicely as well. Yoshi's island (Super Mario World 3), fantastic platformer, balanced difficulty, amazing amazing visuals! Mario RPG, Castlevania, Type R, and some more that I can't recall at the moment. All in all, money for hours of fun and the nostalgia effect is great. However as a parent I would like to see some parental options, eg. restrict some games from the children and also restrict how many hours they can play during a 24h period. Given how advanced are the parental controls of other Nintendo platforms, even the handhelds, I would expect they don't skimp on that but they did. This is why I put a 4 star on this otherwise awesome device. 5.0 out of 5 starsFactory reset to original if you don't like it. Cracking little "toy-tendo", at least it is by Nintendo. Almost purchased one of the cheap copy type Nintendo. Nothing beats the Nintendo it is well made and functions perfectly. 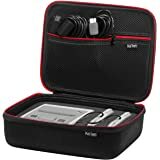 It has a 280 MB hard drive and can be unofficially side loaded to hold over 100 games. Factory reset to original if you don't like it. I mean, WOW! This is INSANELY good and a total nostalgia trip. One word of advice, get a longer HDMI if you don't already have one. Can be a stretch from the telly to the couch.